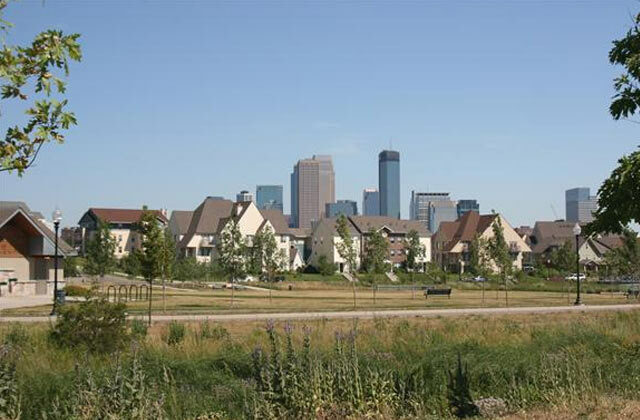 The Heritage Park redevelopment transformed a 145-acre site that formerly contained the Sumner Field, Glenwood, Lyndale and Olson public housing developments into a stable, affordable, and sustainable urban neighborhood on the western side of downtown Minneapolis. Alliant developed the demolition plans for the outdated public housing developments, which included the implosion of the Bryant Towers. On the final phase of the project, Alliant’s Landscape Architects designed rain gardens for stormwater mitigation.